came through with a clutch, match-ending service run in the fourth set, to lead Penn State to a 3-1 victory over #12 Wisconsin on December 21st in the NCAA Tournament Final, totaling 48 assists, five kills, three aces, 16 digs and two blocks. 2012 (Sophomore): AVCA 1st Team All-America; Volleyball Magazine 1st Team All-America; West Lafayette Regional All-Tournament Team; Big Ten Setter of the Year; All-Big Ten; Big Ten Player of the Week (9/3); Big Ten Setter of the Week (9/3, 9/24, 10/1, 10/22, 11/5, 11/19); AVCA National Player of the Week (11/6). 2011 (Freshman): AVCA Mideast Region Freshman of the Year; Unanimous Big Ten All-Freshman Team selection; Big Ten Freshman of the Year; Big Ten Co-Freshman of the Week (11/14, 11/21, 11/28). 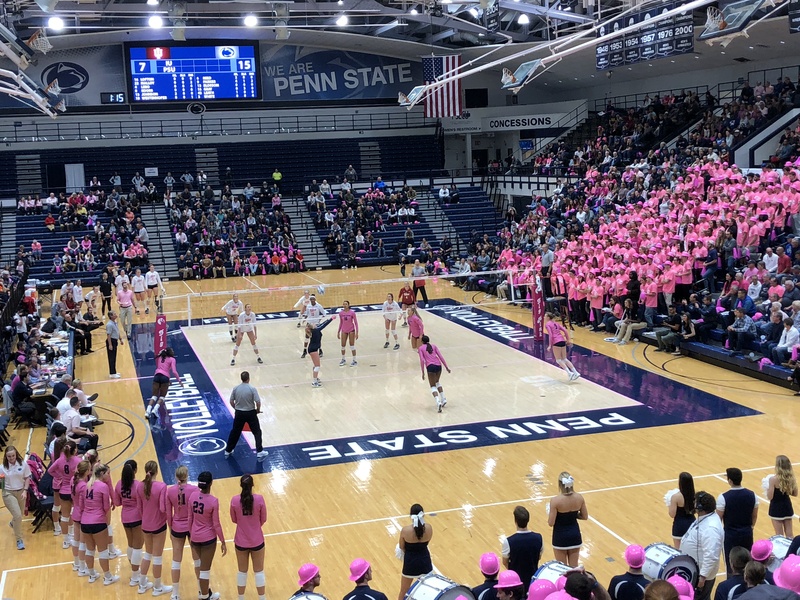 Guided Penn State to a .267 hitting percentage (12th nationally); averaged 10.54 assists per set (sixth in the Big Ten). High School: Two-time Oklahoma Gatorade Player of the Year; 2011 PrepVolleyball.com Top 50 Recruit and Senior Ace; member of the 2009 USA Junior National Championship All-Tournament Team; named to Volleyball Magazine’s “Fab 50”; Best Setter Award in 2010 USA High Performance International Championship Tournament; selected to the 2010 Youth Olympic Team; 2010 Under Armour All-American.